The JV is acquiring the top half of the 251,000-square foot building. ALEXANDRIA, VA–The Pinkard Group and Principal Real Estate Investors have acquired a controlling condominium interest in Carlyle Overlook, which is located at 2318 Mill Rd., in the Carlyle submarket. Specifically, the venture is acquiring the top half of the 251,000 square foot building. The fourteen-story office building is adjacent to both the Eisenhower Metro station and the planned Hoffman Town Center mixed-use development. Carlyle Overlook is the sixth office building acquisition by The Pinkard Group in Northern Virginia over the last couple of years and the second investment in Alexandria with Principal Real Estate Investors, noted Peter Kleeblatt, Principal with The Pinkard Group, the other being the venture’s development and sale of The Kingsley in Old Town. The companies have partnered on other acquisitions in other submarkets, such as the Dulles Metro Center transaction in 2014 and last year’s acquisition of Monument III, a thirteen-story, office building located at 12930 Worldgate Dr. in Herndon. These partnerships have been part of Pinkard Group’s MO. For example, it also structured a JV between Buchanan Partners and AEW Capital Management to acquire Lakeside II @ Loudoun Tech Center. 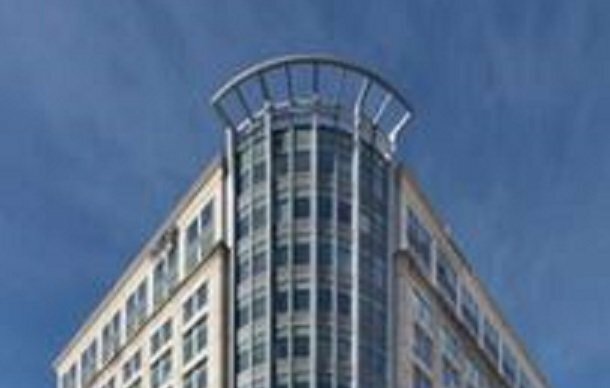 The Pinkard Group acquired Carlyle Overlook on behalf of its Pinkard Fund II, a commingled discretionary real estate fund focused on investment opportunities in the greater Washington DC area. A variety of mixed-use projects continue to fuel the submarket's rise.